W.L. 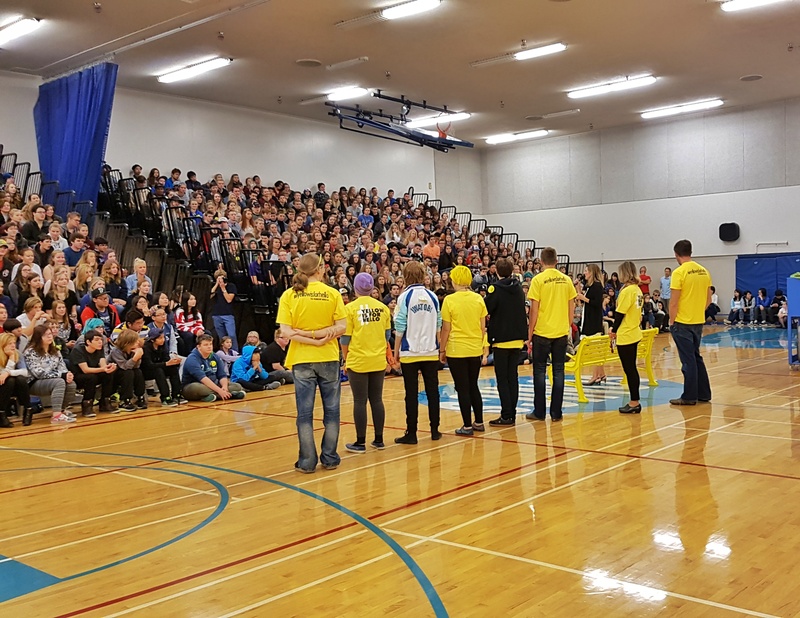 Seaton Secondary, a Vernon, BC school unveiled the #YellowIsForHello student mental health awareness campaign yesterday in a ceremony attended by 900+ students, alumni, faculty, and community members. 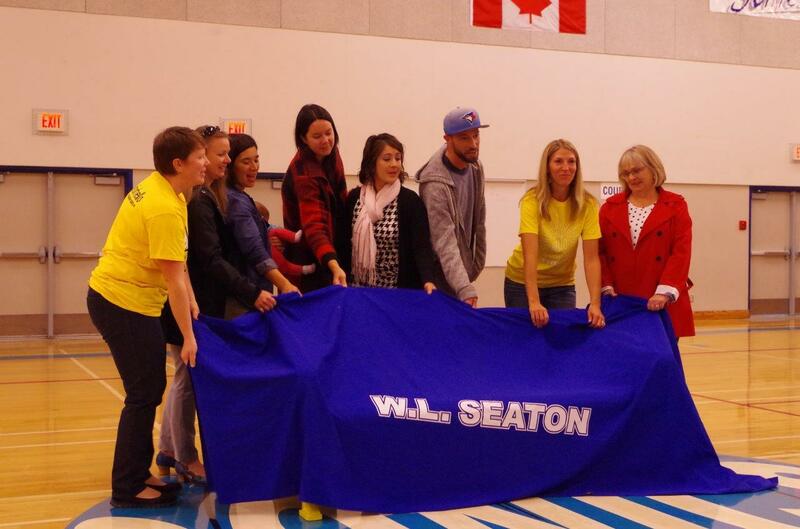 Student Inclusion Team, school counsellors, and the school’s Principal with final thoughts after the unveiling. 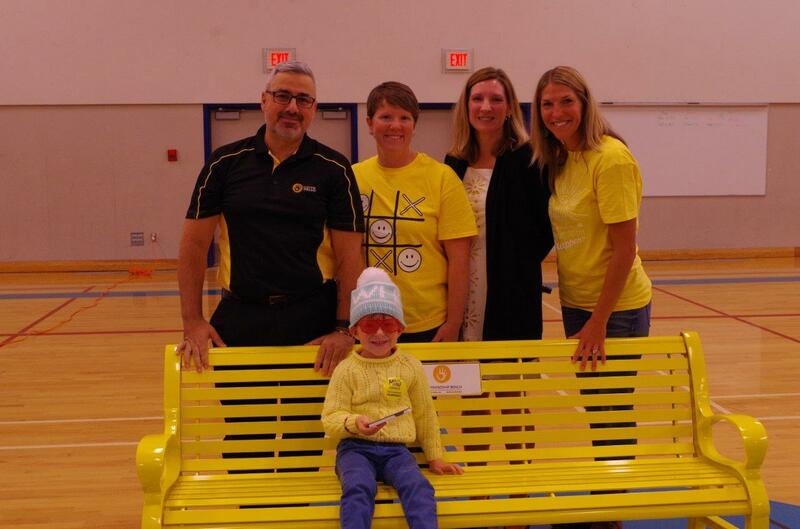 The effort to bring The Lucas Fiorella Friendship Bench to W.L. Seaton started last year with an alumni group planning their 20th high school reunion. The group, recognizing a fellow alumnus who lost his life to schizophrenia and depression, raised funds to make this a legacy gift to the school and its current/future students. The alumni and school’s Principal hosted a parent evening the night before the unveiling that featured an hour-long lecture titled “My Journey – Surviving the Loss of a Child” in which I shared my lessons learned from this 2-year journey working with at-risk students, parents and faculty. Some of the alumni and family members responsible for brining The Friendship Bench to W.L. Seaton were on hand to unveil the bench. 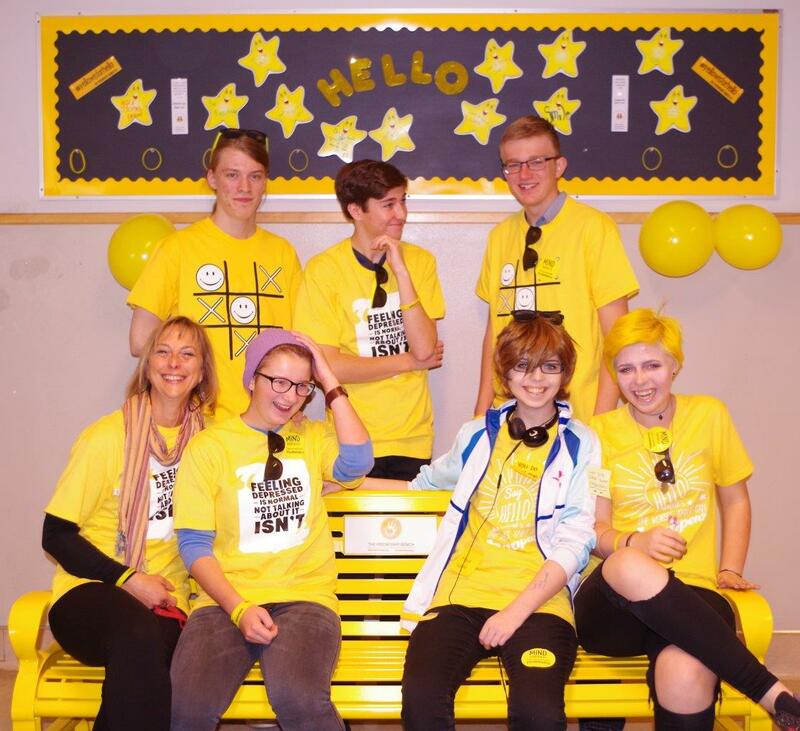 The school’s student “inclusion team” work hard every day to make sure every student feels welcomed and connected to the rest of the student body. 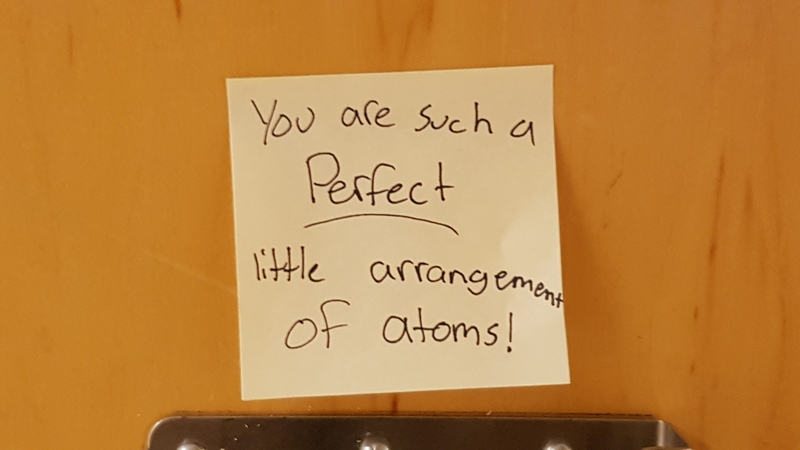 This effort was well received by the students who spent all evening hand-writing and posting positive messages to their peers on everyone’s locker. 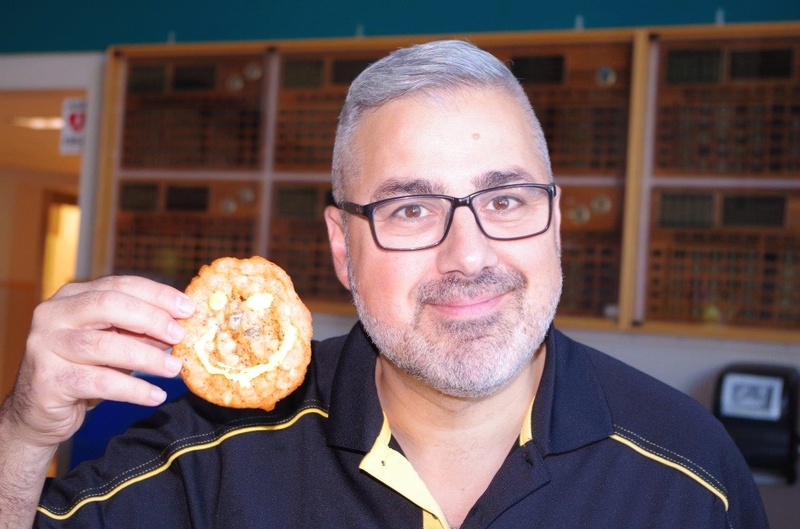 Students arriving the morning of the unveiling ceremony were greeting with positive yellow messages and enjoyed over 900 healthy smile cookies, which were made by the school’s Home Economics staff and students. 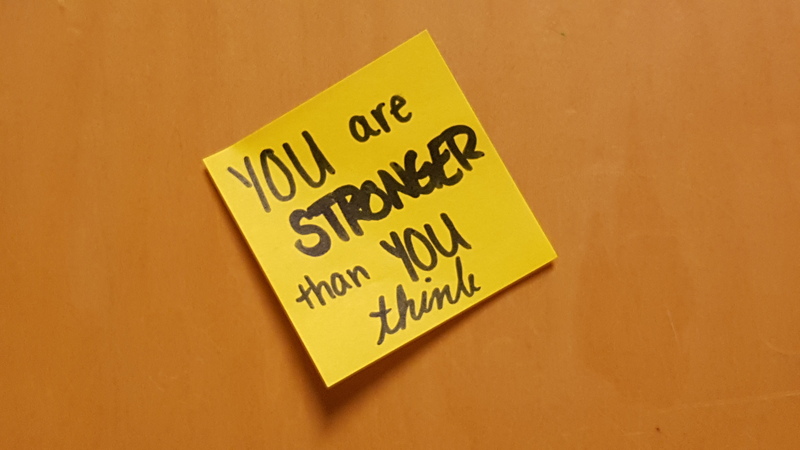 Positive messages greeted students this morning. Healthy (healthier?) oatmeal smile cookies! Good dietary habits are important to one’s mental well being! After the unveiling ceremony, which featured a mental health presentation by Sam Fiorella, and the school’s Principal, Counsellors, and alumni, students walked the bench to its permanent resting spot in the school’s main atrium where students will see and use it daily. From L to R: Sam Fiorella, Sarah Hanson (Alumni), Jacalyn Kersey (Principal), Colleen Howard Waldegger (Alumni). Seated: Jonah in his most awesome yellow sweater. Sam Fiorella engaging students anxious to talk about mental health. All of us at The Lucas Fiorella Friendship Bench wish to thank the alumni, faculty, and students of W.L. 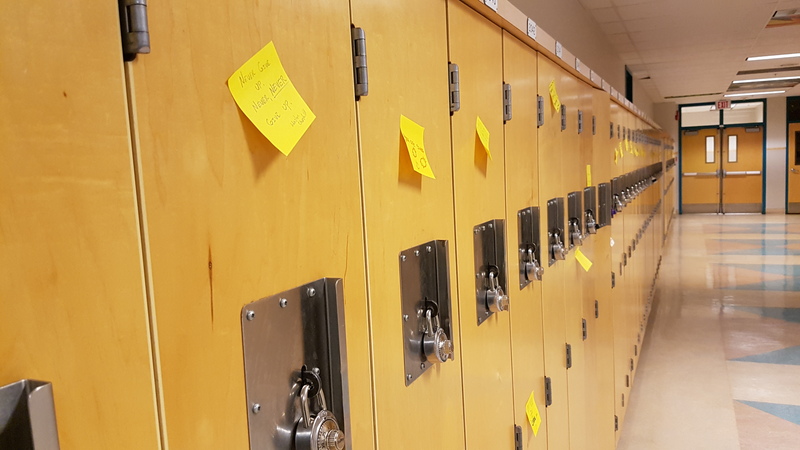 Seaton Secondary for embracing this program so thoughtfully and for the incredible enthusiasm that is on display for student mental health and wellness. We were inspired by you all.